An Air Force UH-1H Huey helicopter flies over the flightline to photograph the crowd attending this year's "Joint Services Open House" airshow at Andrews Air Force Base. 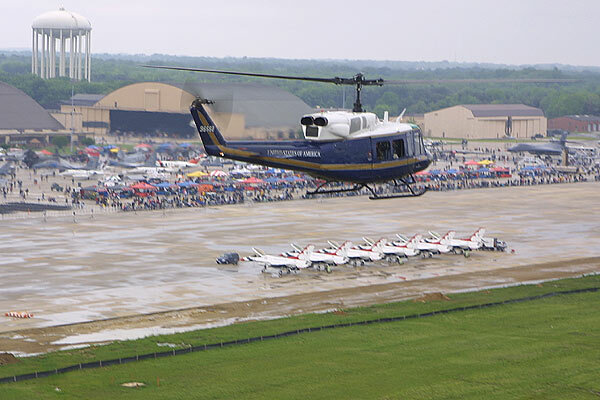 May 17, 2003 - An Air Force UH-1H Huey helicopter flies over the flightline to photograph the crowd attending this year's "Joint Services Open House" airshow at Andrews Air Force Base. Attendance was down this year due to the rainy and cold weather that has plagued the Washington, D.C. area this spring.